Product information "7-Fold Wool/Silk Grenadine Tie With Dots - Beige - Handrolled"
Beige wool/silk tie with white dots. Simple, versatile and plain beautiful: a real cornerstone of your wardrobe. Looks great with a grey plain suit, white semi spread shirt , ukiyo-e pocket square, and olive braces. 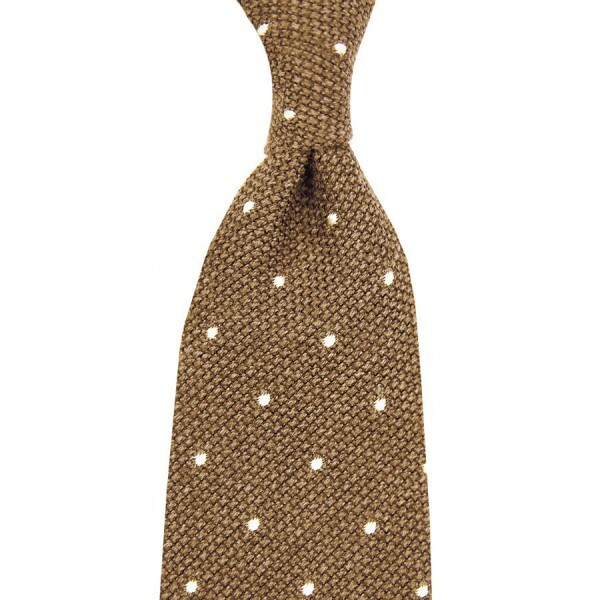 Related links to "7-Fold Wool/Silk Grenadine Tie With Dots - Beige - Handrolled"